There are many colours of Cake Make-up: black, white, off-white, grey and a wide range of skin shades, from light to very dark skin. Cake Make-up is not made in bright colours. Improper use: Assessed according to the standard of consuming regularly the content of the largest package size ( 35 g ) . You apply Cake Make-up with a slightly damp make-up sponge. If you work with too much moisture, streaks will form. You can press the make-up sponge down onto a tissue to remove any excess moisture. Take the make-up sponge between the fingertips and squeeze it together to create a round surface. With this surface the make-up can be applied. First dab a little Cake Make-up onto the hand to check the colour intensity. Then apply it evenly from top to bottom. Cake Make-up dries quickly, so you need to work quickly to achieve a nice result. If the result is not even, turn the sponge that you worked with over and use the clean side to even out the make-up. Any stripes after drying can be gently rubbed away with a soft tissue or cloth. Cake Make-up can be lighted and shadowed beautifully with Grimas Eyeshadow/Rouge. Cake Make-up can also be applied with a brush. Take the Cake Make-up out with a brush from the edge of the box rather than the centre, to avoid crumbs forming. Cake Make-up gives a matt finish which does not need to be powdered off and stays in place well. If you do still want to powder off lightly, for example for photography, use Grimas Compact Powder or Make-up Powder. Also under under warm and moist conditions (lamps during photography, tropical climate) Cake Make-up will still stay in place well. Work hygienically and always use clean make-up sponges. Do not leave the moist sponge lying on top of the make-up, as the Cake Make-up will then become saturated with moisture. Allow the make-up to dry naturally before closing the box. You remove the Cake Make-up with Grimas Cleansing Cream or Cleansing Milk. 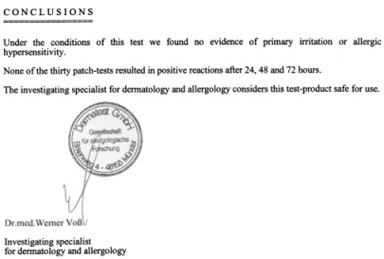 Do not use Afschmink, as this consists of waxes and oils that actually let the Cake Make-up stick to the skin. You can lightly wash the skin with lukewarm water and soap (or shampoo) to already remove a great part. Then you continue cleaning with Cleansing Cream or Cleansing Milk by massaging it in and removing it with a soft tissue.